Run by a husband and wife team in Glasgow, the Vegan Kind is a small company with a great attitude and a lot of heart. 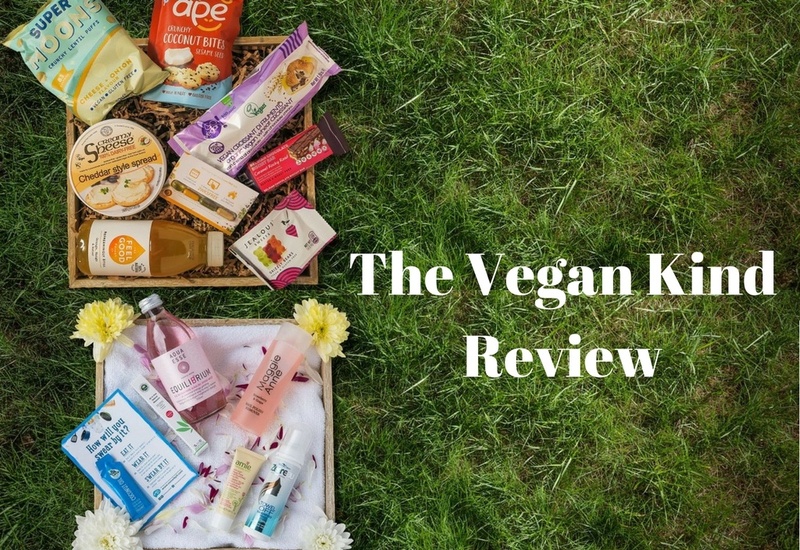 They offer both a Lifestyle Box and a Beauty Box that is perfect for those who live a vegan lifestyle; you can check out our review of the Vegan Kind Beauty Box elsewhere in this section of our site. The Vegan Kind Lifestyle Box is essentially a snack box that may occasionally have some extra treats that aren’t edible. There’s a mix of some healthy or practical stuff like vegan beauty products that is cruelty free alongside more indulgent treats to satisfy your sweet tooth or give you a satisfyingly savory snack bars, organic dark chocolate, or peanut butter to enjoy when you need more protein or you’re craving something on the salty side of the flavor spectrum. In addition to providing 100% cruelty-free vegan snacks, vegan food, and lifestyle products in their boxes, the Vegan Kind also donates a small portion of the proceeds from each box to a charity of the company’s choice, making the whole process even better for those on a gluten-free vegan diet and vegetarians alike. Most of the charities are animal-focused, whether they’re dog and cat rescue organizations or vegan advocacy groups. Other animals get some love too; one of the Vegan Kind’s past charities is the British Hedgehog Preservation Society! If your veganism is motivated by your love for animals, the Vegan Kind Lifestyle Box is a great choice for a monthly treat. The box does feature products from international companies, too. Therefore, even if you don’t live in the UK, you may end up with something in your Vegan Kind Lifestyle Box that’s made in the UK. Each monthly delivery includes 5-8 cruelty-free vegan product samples and some full-size products as well. Most of the products included are snack items or vegan drinks, but there may be the occasional lifestyle product, such as a vegan shower gel, oat milk, organic dark chocolate, flavored seaweed snacks, teas, vegan gummy candy, and other healthy or indulgent treats may be included. The mix of products for each month is a surprise! There’s only one box size and one delivery frequency available. These boxes ship monthly. If you’d like to buy a single box, you can purchase one of the Vegan Kind’s past Lifestyle Boxes from their archive. It makes a great gift idea! Though all of the Vegan Kind’s Lifestyle Box subscriptions are auto-renew style, your recurring bill date can be set for monthly, quarterly, biannually, or yearly. This means you can do anything from paying on a month-to-month basis to paying for a full year up front. Gift subscriptions are also available. The Vegan Kind Lifestyle Box ships both in the UK and internationally.